The practice of search engine optimization is more than just crafting keyword-optimized content and meta for your web pages. Any SEO web design expert knows that website optimization must also take into account the basic fundamentals of creating a user friendly web design and developing it on a powerful, search engine friendly platform that will promote optimum SEO gains. As SEO web design tips noted in the previous post about what to look for in a search engine friendly CMS system, proper HTML structure has a great impact on overall performance of an organic SEO strategy. We're going to take that notion one step further in this SEO web design tips blog by highlighting some of the key ingredients that go into creating an SEO friendly web design. Proper HTML language markup when developing a web design that must rank well in the search engines is the first step in ensuring SEO web design success. This best practice of SEO friendly web development can make a significant impact on the overall performance of your SEO campaign. Companies that specialize in SEO web friendly web design and development utilize SEO-friendly CSS techniques instead of regular HTML tags when creating fonts, colors and other universal website design styles. Doing this CSS technique keeps the HTML markup on a web page clean and concise for the search engine spiders. It also keeps the ratio of keyword-optimized text higher than that of websites that do not utilize CSS to style their web pages. Another critical SEO friendly web design technique that developers use is integrating the keyword-rich copy that is crawlable by search engine spiders as high up in the HTML markup as possible to ensure maximum SEO benefits. This makes the search engine spider's job easier and can lead to higher rankings in the organic search results. It's commonplace in the website design industry to develop websites on content management system (CMS) platforms. From a best SEO web design tips standpoint, not all CMS systems were built equally for search engine optimization benefits. Search engine friendly CMS systems such as Wordpress CMS or Exponent CMS gives website developers an edge over the competition because both of these CMS platforms have key features for SEO friendly web design such as customization of Meta Titles, Descriptions and Keywords tags. Both of these content management systems structure their HTML markup in an SEO-friendly fashion with clear, concise markup and usage of CSS style sheets. Certain graphical aspects of a website design can be further optimized for greater organic SEO value, with optimized images and videos leading the way. This blog post gives great tips on how to properly optimize images for the search engines. Optimized images can help build keyword relevancy of a web page and help boost rankings. SEO Friendly web design also focuses on website conversion rate optimization. This practice centers on analyzing how website visitors behave on a website and optimize the website for ease of use and calls to action in order to increase the likelihood of conversions. This is a basic fundamental of website optimization and SEO friendly web design. 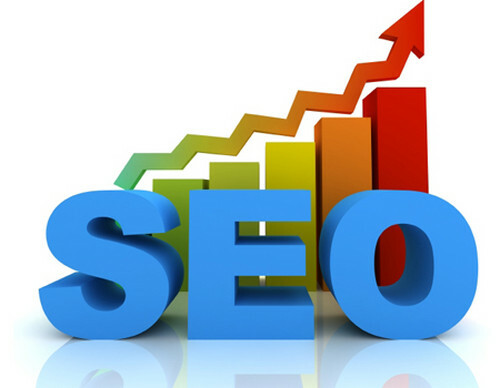 Hi nice and informative sharing.In today’s digital marketplace, search engine optimization SEO and website design must go respect one another.Web designer must design a SEO friendly website by implementing different techniques.Thanks for the share.